Our practice is committed to providing excellence in dentistry with a small hometown culture. We know our patients personally and we live in the community near the office. We believe in minimal discomfort, less invasive procedures and utilizing the latest technology to provide the very best care for our patients. Our staff are all local and they are involved in a number of community activities throughout the year. We are available 24 hours a day for emergency calls and leave our cell phone on the answering machine for patients. We use the latest in dentistry techniques to provide you with a beautiful and healthy smile. Unlike other offices we see the entire family, we place most dental implants in house and we have the largest safest Cone Beam(CBCT) Green Technology in Greensboro, NC. Our CBCT Green is the only CBCT Green that is FDA approved to be used on pediatric patients when necessary. Additionally, we believe strongly in dental education to prevent oral health problems before they occur, and make sure to keep our patients fully informed about their dental health. Read more about Greensboro dentists Dr. Edward Scott and Dr. Erin Scott below. A West Virginia native, Dr. Scott grew up in the Kanawha Valley area. Dr. Scott has a strong passion for dentistry and the pursuit of excellence in all aspects, especialy improving the oral healthcare of his patients. Dr. Scott received his Doctorate in Dental Surgery from the WVU School of Dentistry. He also earned a Masters of Accountancy from the University of North Carolina at Charlotte and a Bachelors in Accounting from the WVU Institute of Technology where he also played for the Golden Bears NCAA Basketball team. He has also passed the Certified Public Accountants exam although he does not keep his accounting CPA license active. Dr. Scott has completed an Internship with the Engel Institute in Implant Dentistry and holds memberships with the American Dental Association, Academy of General Dentistry, Academy of Laser Dentistry and the International Congress of Oral Implantologists. Dr. Scott also holds a Standard Laser Proficency Certification. Dr Scott holds a Fellowship, a Mastership and is a DIPLOMATE of the International Congress of Oral Implantologists(ICOI). A diplomate is the highest honor acheieved with this implant organization. Dr. Scott has demonstrated his committment to give back to the community by volunteering hundreds of hours of community service to the HealthRight Dental Clinic, Give Kids a Smile Day, Missions of Mercy, Homeless Veterans Standown, and Pleasant Garden Baptist Bus. Dr. Scott has also volunteered with the public health service in Billings Montana on the Blackfeet Indian Reservation. Dr. Scott enjoys fishing, boating, trying new restaurants, and expanding his dental implant knowlege. If you ever need to contact Dr. Scott as a new patient, current patient, or existing patient, his personal cell phone is 336-944-4248 and he is here to help. Dr Erin Malee Scott (Dr Erin) was born in Parkersburg, West Virginia. She attended Parkersburg Catholic High School where she was an All-State volleyball and basketball player. She completed her undergraduate program at West Virginia University, graduating as an Honors Scholar. Dr. Erin continued at West Virgnia University School of Dentisry where she received her Doctorate of Dental Surgery. Dr Erin is committed to improving dental health care in the community and has participated in outreach programs such as NC Baptists Bus, Veterans Stand, Give Kids a Smile Day, Missions of Mercy NC and WV, and she did a rural program providing dental care in rural West Virginia. 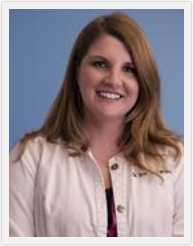 Dr. Erin enjoys all aspects of dentistry, especially meeting new people and helping them improve their smile. She has extensive knowlege in pediatric dentistry and has worked in pediatric dentistry for several years. She is a member of the American Dental Association and the Academy of General Dentistry, and is certified by the Academy of Laser Dentistry. In her personal life Dr. Erin enjoys sports, boating, reading, traveling, and spending time with her husband Ed and their two maltese doggies Baxter and Murphy. She also loves to cook and try new recipies.